Hortensii is a group of people inside and outside academia who want to alleviate the difficulties facing PhDs without permanent academic jobs. (We take our name from the Roman Quintus Hortensius, who in c. 287 BC sponsored the Lex Hortensia giving civil rights to Roman plebeians; our photograph is of Benjamin Franklin, who would also have wanted to help.) We think that even given current unpleasant realities facing academia many positive steps could be taken; see ‘What to do and why’ for exactly what these are, but to oversimplify grossly our goals are both to reduce the oversupply of disappointed would-be academics and to make life easier for PhDs who choose to remain in academia without a permanent job. We welcome anyone who shares these goals and is in broad agreement with our proposed actions to join us and help implement them, and we ask people with other agendas to respect ours and leave us to it. We are not fighting against anyone or anything and are not affiliated with any movement, political party, or country. Nor are we trying to help individuals gain employment or to interfere in any way with decisions on who should get the limited number of academic jobs available; as we have different subjects and different views on what constitutes good academic work in our fields, we wish to avoid internal dissension by remaining strictly neutral in such matters so we can work together to make life better for a group that badly needs such help. 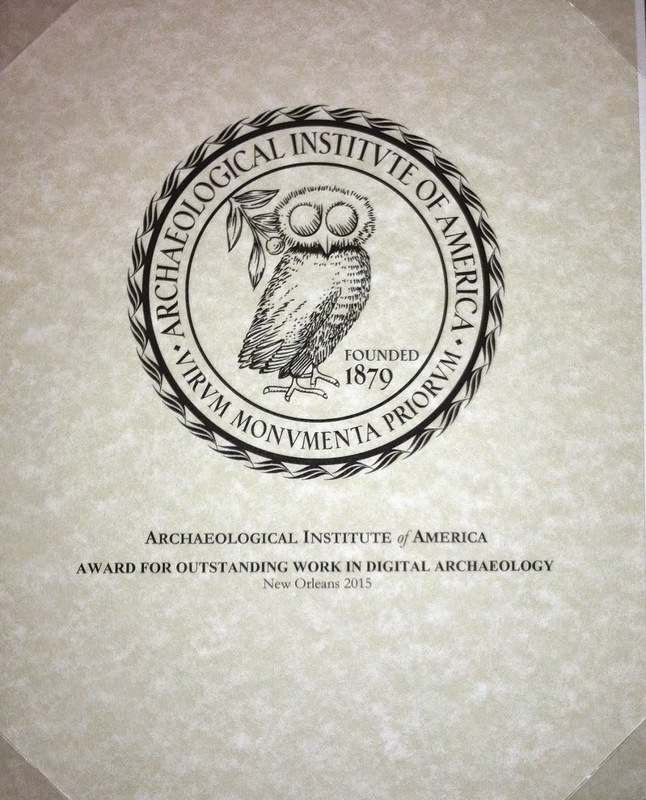 At present the contact person for Hortensii is Eleanor Dickey, a Classicist at the University of Reading in England. Abstract: The collection of essays considers the art journal Propyläen that was edited by Goethe in the years between 1798 and 1800 for the first time as a whole. This enterprise, which was of great significance for the history of aesthetics, will be placed in a new light. The book situates the texts within their historical contexts, and thus provides a key resource for future research, for literary as well as art studies. Abstract (other language): Die Beiträge des Bandes beschäftigen sich mit der von Goethe herausgegebenen Kunstzeitschrift Propyläen. Erstmals werden die darin veröffentlichten Texte und Abbildungen aus interdisziplinärer Perspektive unter Berücksichtigung des inneren Zusammenhangs der Zeitschrift sowie der zeitgenössischen Kontexte untersucht. Der Forschung soll so ein vertiefender Einblick in die spannungsreiche Beschaffenheit des klassizistischen Weimarer Kunstprogramms eröffnet werden. Notamment 134 pages de compléments bibliographiques à l'Atlas archéologique. Saint Augustin, De Trinitate, IX, 1,1. Bonne lecture, et merci de vos remarques . .
"Am Anfang war der Keil -- Schrift und Schreiben im Alten Orient"
produziert, den Sie unter folgenden Weblinks aufrufen können. Building and Stonemasonry journal is intended as a meeting point for the exchange of scientific knowledge, and the discussion of that knowledge, reaching into areas of archaeology, art history, construction, technical science history, the preservation and protection of the cultural heritage and cultural identity of a certain region, architecture and urbanism, the technology of harvesting, treatment, installation and protection of stone, petrology, geology and mining, as well as the fields of artistry, stone masonry, sculpture, and stone design. Its didactic value is also extremely relevant for a wide group of people; stone and stonemasonry craft lovers, pupils, academy students and post graduates of various orientations. This journal was launched as an implementation of the idea presented during the celebration of the 80th anniversary of the foundation of the Stonemasonry School in Pučišća, on the island of Brač. The volume of the journal encompasses all areas, thus illuminating all the various aspects of stone themes. Das gemeinsame Vorhaben der Papyrussammlungen in Halle, Jena und Leipzig hat sich zum Ziel gesetzt, die jeweiligen Papyrus-und seit 2009 auch die Ostrakabestände nach gemeinsam entwickelten Kriterien zu katalogisieren, zu digitalisieren sowie gleichzeitig eine Sicherheitsverfilmung durchzuführen. Die Ergebnisse der Digitalisierung und Katalogisierung werden mit Kurzbeschreibung und Bild über diese Seite sowohl den Spezialisten als auch einer breiteren Öffentlichkeit zur Verfügung gestellt. Die Implementierung erfolgte auf Basis des Open Source Projektes MyCoRe, welches von einer Reihe deutscher Universitäten entwickelt wurde und weiterentwickelt wird. Achtung, die Präsentation der Papyri befindet sich derzeit im Aufbau bzw. in Erweiterung. In den kommenden Monaten wird die Zahl der eingestellten Papyri stetig weiter steigen. Wir freuen uns, dass nach und nach für ausgewählte Ostraka 3D-Darstellungen angeboten werden können. Diese finden Sie in der Ansicht des Objektes unter 'Digitale Dokumente'. Die Darstellung erfolgt mit WebGL. Ob Ihr Browser diese Funktion bereits unterstützt, können Sie unter http://get.webgl.org überprüfen. el-Hamdulab to the New Kingdom South Tombs Cemetery of Akhenaten's Egypt at Amarna. We are pleased to be able to present this collection of articles on Egyptology, published in Antiquity. This selection is freely available until the end of 2015. Click here to access this article collection. Also, never miss an issue of Antiquity by signing-up to receive Table of Contents alerts straight to your inbox. This site presents the data gathered by the Rock Inscription and Graffiti Project at the Institute of Asian and African Studies. These photographs were assembled before the reversion of the Sinai Peninsula to Egyptian sovereignty in 1982. The collection is designed to make available images of inscriptions, rock drawings, Beduin markings and other epigraphs and to organize them including descriptions, coordinates, and locations. In order to facilitate research into the human traffic in the Wilderness of Sinai, inscriptions in major published corpora have been included, as will be evident. To the material from Sinai, we have added epigraphs from the Christian Holy Places and also from the Negev desert. The collection does not claim to be exhaustive in any way. The images belong to the Rock Inscriptions and Graffiti project and high resolution images for study and eventual publication will be made available to scholars on request sent to: michael.stone@huji.ac.il. Michael E. Stone, The Rock Inscriptions and Graffiti Project: Catalogue of Inscriptions. 3 volumes. SBLRBS 28, 29, 31. Atlanta: Scholars Press, 1992–94. Michael E. Stone, The Armenian Inscriptions from the Sinai with Appendixes on the Georgian and Latin Inscriptions by M. van Esbroeck and W. Adler. Harvard Armenian Texts and Studies 6. Cambridge: Harvard University Press, 1982. Emile Puech, 'Une Inscription Ethiopienne ancienne au Sinai (Wadi Hajjaj)', Revue Biblque, 87 (1980) 597-600. A journal of the Expeditions to the Sinai is currently being edited: Michael E. Stone, A Sinai Diary (forthcoming). drawing on the full range of written sources from the 8th century B.C. down to the late Roman Empire. The project: the origin and purpose of LGPN. Publications: details of published volumes including name lists and statistics; forthcoming volumes, associated works. Online facilities: Name Search over 35,000 published names; indexes and bibliographies of LGPN I-VA; LGPN IIA: addenda, corrigenda, name indexes and statistics from revised LGPN II (version April 2007). LGPN Database Search: conversion project using TEI-compliant XML. Ancient Greek names: an introduction, including their formation and development, and our sources for them. We also have a little information about modern Greek names. Announcements: latest publication, new additions to the site, developments, news and events. Contact details: staff and the Advisory Committee. 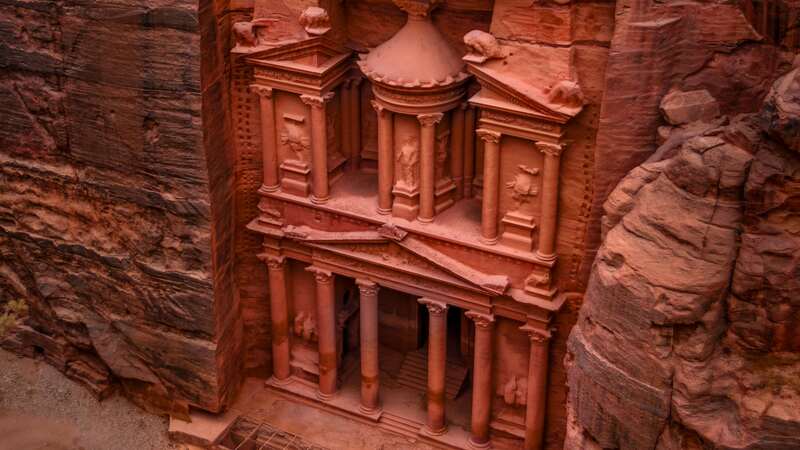 Over 2,000 years ago, the Nabataeans created Petra—the city of stone. Journey with us behind the iconic facade from the movies, and discover one of the great wonders of the world, forgotten by time itself. Many people think that Petra begins and ends with Al Khaznah - The Treasury - but as you will learn there is so much more to explore within this ancient city. Stay and walk around here for a while or click below to start exploring Petra in its entirety.